To customize this template after signing up, choose ‘NPS survey’ as example when creating a new survey. Detractors: They gave you a score lower or equal to 6. These are dissatisfied customers who can damage your brand with negative word-of-mouth. Passives: They gave you a score of 7 or 8. These are satisfied but indifferent customers who could be persuaded by the competition. Promoters: They gave you a score of 9 or 10. These are loyal customers who will continue to buy your product and will refer it to others. Now, what’s a good NPS score? First of all, a good NPS score is much more than just a mere number. It’s a way to measure up against your competitors, an indicator of your current success, and it’s a way to gain insight into what your business can do better and where your business is headed. But in general ‘a positive score is a good NPS score’. This means your company is generating a lot of positive word-of-mouth from their referrals. Important: the interpretation of a good NPS score is largely dependent on which industry benchmark it goes up against. Asking the single question of how likely customers are to recommend your brand is often not enough, what’s maybe even more important is the reason WHY they gave you a certain score. So asking this extra question or some more detailed versions of it also very much advised. Ask your promotors and detractors for feedback, especially your detractors are invaluable lessons for you as an enterprise. NPS should be taken regularly and consistently, so brands can recognize accurately and make appropriate improvements to lift NPS performance. Why use Survey Anyplace as NPS survey Tool? Deliver questionnaires directly to the right mailbox. Share your survey with Email Invitations, stay in touch through Variable Confirmation Emails and keep your communication in order with Respondent Grouping. To use this sample NPS survey template, sign up for Survey Anyplace , and choose ‘NPS survey’ as template when creating a new survey. 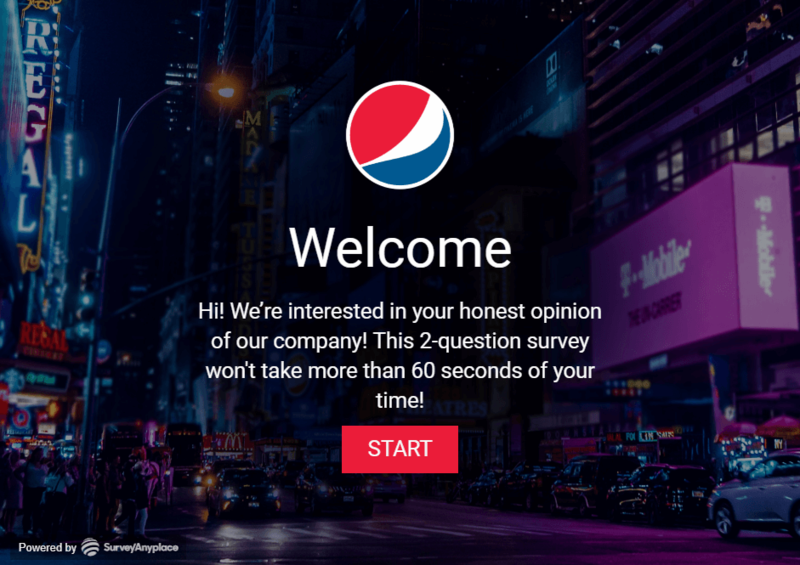 Short & simple intro: introduce the survey VERY briefly and get people into it as quickly as possible. It is important that the survey results can be quickly and efficiently collected. Sending the survey right after a purchase confirmation mail or in a banner on a landing page is a safe way to go, annoying the customer is the last thing you want to do. Using paper forms to conduct these types of surveys is also possible but you’ll likely get skewed results if you ask them face to face. Not to mention your audience will be a lot smaller and this will lead to your results being less reliable. Tip: While the 11-point scale (0-10) remains the most popular option, the 7-point scale (1-7) is becoming more common. People are less likely to pick randomly on this scale. Researchers theorize that fewer options are less overwhelming and reduce random answers. In addition, the unfamiliarity of a 7-point scale may throw people off guard, causing them to think before answering, which may make their answers more accurate.